OSWEGO, NY – Before offseason maintenance begins in anticipation of Oswego Speedway’s 27th consecutive season of Pathfinder Bank Small Block Supermodified action to begin in May 2018, the stars and cars of the SBS division will have one more shot to compete before the long wait until spring in this Sunday’s ‘Fall Brawl 50’ for the Lighthouse Lanes SBS Series at Evans Mills Speedway. This Sunday’s show will be the second attempt this season by the series to run an event at Evans Mills, with the original June 18 event being postponed to this Sunday, September 17 due to weather. ‘The 1st Annual ‘Fall Brawl 50’ will pay $1,000 to the winner of the 50-lap main, which will be lined up based on the afternoon’s heat races. Every car in the field is guaranteed at least $100 to compete, with a total payout of over $3,000 at stake. Expected to compete for the large payout this weekend are several Oswego veterans, former drivers and soon to be rookies including 2017 championship runner-up Andrew Schartner, longtime series campaigner and feature winner this year Jack Patrick, series coordinator Mike Bruce, former Bud Light SBS Classic 75 Champion Cameron Rowe, ‘Mr. Small Block Supermodified’ Jesse Bearup, multi-time feature winner Barry Kingsley, recent third place Classic finisher Dalton Doyle, five time SBS victor Rob Pullen, another five time winner in former high school young gun Anthony Losurdo, four year division veteran Cameron Black, O’Connor Racing teammates Greg O’Connor and Tony Pisa and even track owner and former Oswego campaigner Vern LaFave. Competing with the series regulars will be a pair of drivers planning to return to action this weekend as former Supermodified driver turned car builder Tim Proud will again pilot his self-built Proud Motorsports No. 54 in the Fall Brawl, with his brother, eight time Oswego feature winner Chris Proud, returning to action for the first time since 2015 in his Martin’s Contracting No. 3 machine. Two 2018 Oswego rookies are also eyeing their first race at Evans Mills, with both Addison Bowman’s No. 12 and Josh Sokolic’s No. 26 to join the already rather full field of cars. The soon to be Pathfinder Bank SBS rookie of the year contenders have logged hundreds of laps at the Jefferson County facility in testing sessions over the past few weeks. Any other competitors planning to participate in the ‘Fall Brawl 50’ are asked to inform series social media coordinator Camden Proud. Joining the Small Block Supermodifieds on Sunday at Evans Mills will be the Mills Modified, Legends, Bandolero, Thunder Stock, 4-Cylinder and 4-Cylinder truck divisions in the track’s season finale. Heat racing is set to begin at 3pm, with hot laps at 1:30pm. General admission tickets are just $10 and can be purchased at the gate. Kids 15 and under are FREE at the Evans Mills Speedway. Pit passes are $25. For more information, log on to EvansMillsSpeedway.com. 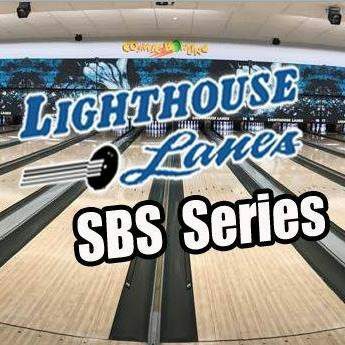 To receive the latest updates from the Lighthouse Lanes SBS Series, LIKE Lighthouse Lanes SBS Series on Facebook or FOLLOW on Twitter @LHLSBSupers.